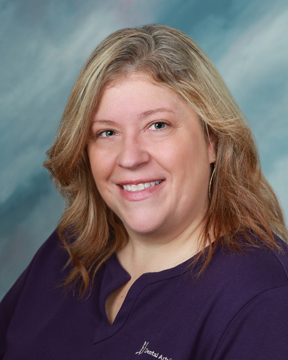 Hello, I am a clinical coordinator as well as a certified dental assistant. I manage a team of three assistants, and make sure everything runs smoothly for our doctors and patients. I treat our patients like part of my family, and only want the best for them. That’s why I’m proud to work here, with such talented doctors and wonderful staff! After work, I love spending time with my family, Marco, Janessa, and Joey, and Bruno, my pup! My free time is spent going to the gym, reading, and gardening. I also love warm weather and being on the beach! 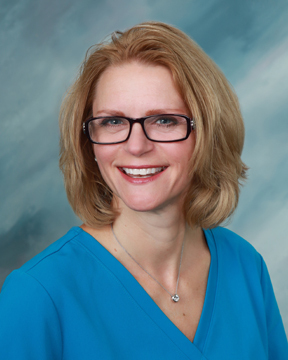 As a registered dental hygienist, I perform screenings for oral cancer, help our patients achieve and maintain a healthy mouth, and keep people smiling! I treat our patients like family and make sure each patient has a fun and positive experience. I especially love working with the kids! 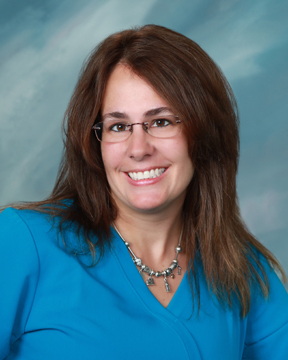 I joined Dental Arts Group in 2006 as one of Dr. McFarlands' dental assistants. I am very patient and caring, and truly want to make every patient feel comfortable and at ease when they are in our office. 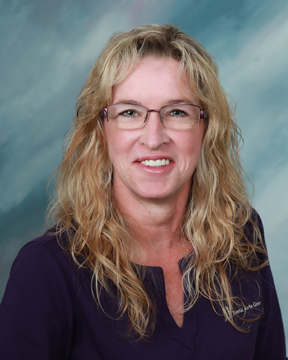 I assist doctors with clinical procedures, take radiographs, help patients plan their treatment, and educate patients about dentistry and it's importance on overall health. At home, I have two sons, Mason and Connor. I enjoy reading, the beach, and spending time with family and friends. 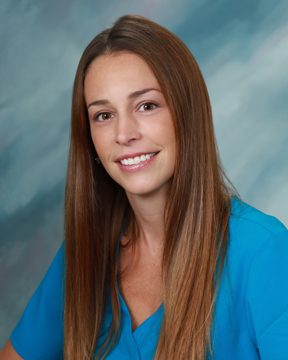 I joined Dental Arts Group in 2013 as one of Dr. Rhodes’ dental assistants. 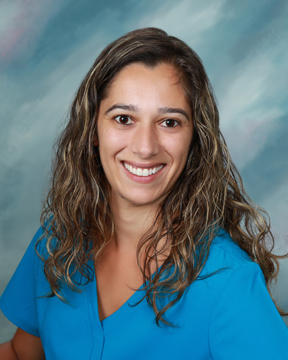 I am a graduate of CCRI's dental assistant program and have loved being a part of this smart, compassionate team. 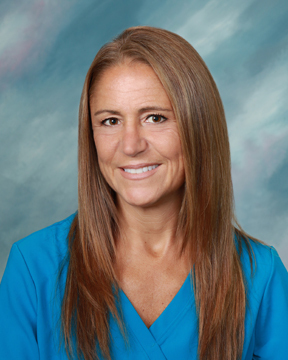 I am very patient and caring, and truly want to make every patient feel comfortable and trusting in our office. At home, I have two dogs, Maggie and Nola. I enjoy hiking, being outdoors, and spending time with family and friends. I also love horses and have been to the Kentucky Derby for the last two years! Hi there! I work as a dental assistant for our office, and I’m glad you’re here! I have a positive attitude and lots of energy, and always make sure our patients know they are well cared for. In addition to helping our doctors with chairside procedures, I also take radiographs, help plan treatments, and educate patients about dentistry. I know our patients recognize that our office is very friendly and caring and we go out of our way to make each visit a positive experience. At home, my husband, Carlos, and I have three children named Joseph, Gianna, and Angelina. I enjoy working out, hiking, going to the beach, and listening to country music. Hi there! I am a registered dental hygienist in our office. I love seeing patients smile when their oral health improves, and enjoy being part of a highly qualified team. 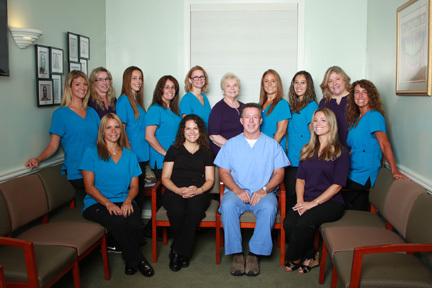 Our doctors provide top-notch dentistry, and they always listen to the needs of our patients. I know you’ll enjoy coming to our office! When I’m not helping our patients have a good dental experience, I’m usually spending time with my husband, Steve, our Husky named Bandit, and out cats, Saddie and Sable. I love going on vacation, especially if it’s a cruise or going to a Caribbean resort! 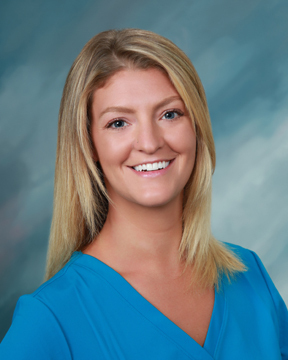 As a registered dental hygienist, I help our patients achieve optimal oral health and shiny, bright smiles through gentle dental care. I want our patients to have a positive and fun experience at each visit, and I take the time to talk about their goals for dental care. When I am not at work, I love to spend quality time with my two daughters, Olivia and Emily. We also have a dog named Puddy and three cats: Shiner, Tutu, and Twinkle. My free time is spent out in the sun and relaxing in my hammock. I help my patients achieve overall oral health through gentle dental care and preventive services. I adapt to each patient’s individual needs and treatment, doing my best to keep them educated, comfortable, and engaged in their treatment. Our practice is full of professional, friendly people. We all have a great sense of humor! At home, I have two daughters, a French bulldog, and a tabby cat to keep me busy. Most of my time is spent with my girls, at the gym, or at the beach! I joined the Dental Arts Group team in 2016, though I’ve been in the dental field for a few years now. 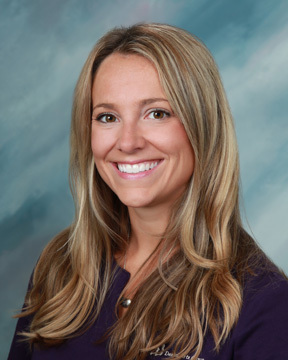 As our clinical scheduling coordinator, I schedule appointments, review treatment plans, and help make sure each patient has a positive experience. I enjoy helping anxious patients feel more comfortable and try to listen to patients' concerns. In my free time, I enjoy spending time with my son, Andreas and our dogs. 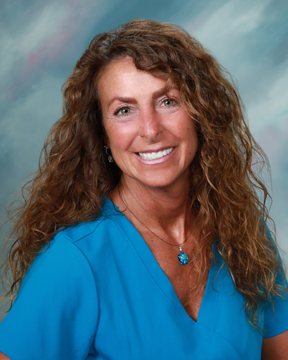 I feel very lucky to be our office manager, because I get to help people finance the smile they always dreamed about! Many new patients come in worried about the cost of treatment, but after sitting with me, they always leave with a relieved smile! I treat every patient with respect and care, and want them to feel comfortable asking me any question they have. When I’m not helping people at work, I am spending time reading, taking long walks, being with my fiancé Jay, or playing with my dog Bonnie. I am an obnoxious “dog mom,” giving Bonnie Christmas presents, doggie birthday cakes, and taking hundreds of pictures! 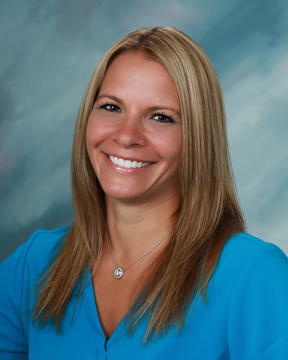 I am an insurance coordinator in our office, and also get to greet our patients and families! I love welcoming new patients and catching up with our regulars. I like to let patients know that we are always here for them if they need any kind of assistance. Our doctors and staff are truly wonderful people, and they always give the best care available to our patients. When I’m not at work, I spend time with my husband, Greg, and our two wonderful children, Brian and Jessica. We love watching movies and checking out new restaurants in the area. As the hygiene scheduling coordinator, I greet patients, answer phones, maintain our hygiene system, and help patients schedule appointments. I am a caring person, and listen to our patients’ needs. I want them to know that our practice is centered on their comfort and convenience, and making them happy and healthy are my highest priorities. My family includes my husband Bob, daughters Kelly, Karen, and Kristen, and grandchildren Olivia, Isabella, Kyle, and Kelsie. 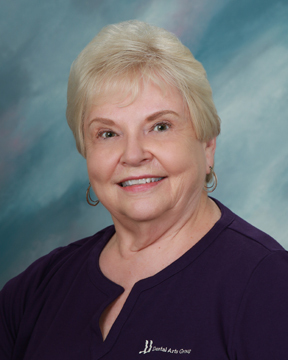 I like to stay active by hiking and skiing, love to travel, and absolutely adore my grandkids!